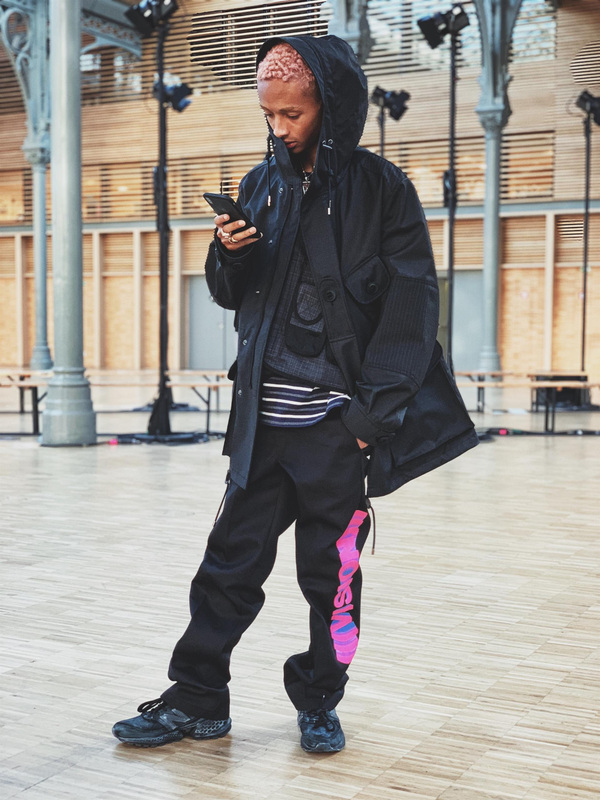 Jaden Smith Spotted Wearing The New Balance 574 Sport at The Junya Watanabe FW19 Show | RESPECT. Today, Jaden Smith was spotted wearing the New Balance 574 Sport at the Junya Watanabe Fall / Winter 2019 Runway Show. The 574 Sport are available on NewBalance.com for $129.99. Check out a closer image of the 574 Sport below.